The district attorney said the woman was justified in using force in self-defense. KNIGHTDALE, North Carolina (WTVD) -- The Wake County district attorney's office said Monday that there will be no charges filed against a woman who shot a Walmart shoplifting suspect who was fleeing from Knightdale Police on Sept. 18. Police said they were investigating a larceny at the Walmart on Knightdale Boulevard about 6 p.m. when the shoplifting suspect, later identified as Deondrea Branch, ran from officers into a nearby office building and was shot and injured. Officers chased the suspect, who they said forced his way into C. H. Wells CPA LLC and encountered the owner Connie Wells, who was working alone inside. 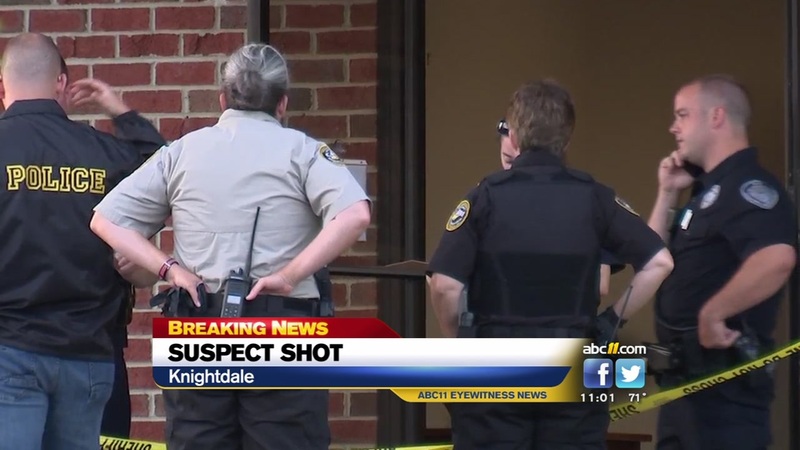 A town official told ABC11 at the time that the woman fired a shot. The Wake County DA's office said Monday that based on the Knightdale Police Department's investigation, it has determined that Wells "reasonably believed her life to be in danger and therefore was justified in using force in self-defense." The DA's office cited North Carolina General Statute 14-51.2, which "provides that an individual who uses force against someone who has unlawfully broken into his or her workplace has a presumption of fear of death or serious bodily injury." Through her attorney, Wells released a statement Monday thanking the DA's office for clearing her in the investigation. Her attorney, Damon Chetson, also said "it is a tragedy any time anyone is seriously injured," but added that Branch "committed a crime when he broke into her closed and locked office, kicking down a 150-pound solid core door in the process." Chetson said Wells used force "only after exhausting other options."